Last week, TIBCO Spotfire announced its partnership with Cloudera, by developing a certified connector through the Cloudera Accelerator Program. With the proliferation of data in organizational settings, companies are choosing Cloudera to solve the problem of storing vast volumes of data, economically. And TIBCO Spotfire continues to be the leading business intelligence tool that allows users to derive valuable insights from their data. The combination of Impala, the leading analytic database, and Spotfire made sense in the evolution to bring the users to best of both worlds – fast access to big data and the ability to visualize multiple data-sets without any hassle. Read the full article on Cloudera Impala and TIBCO Spotfire partnership here. 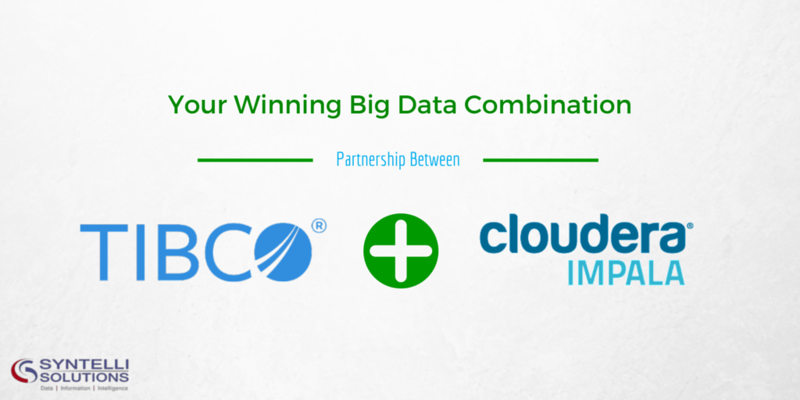 Interested to see how this Big Data solution can be applied to your organization? Contact one of our data scientists today!